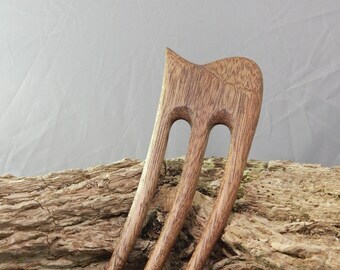 handmade, three prongeded Forks/bog oak with 12 cm (4.72 inch) useful length and offset arranged tines. The topper is adorned with a golden metal tree of Life. 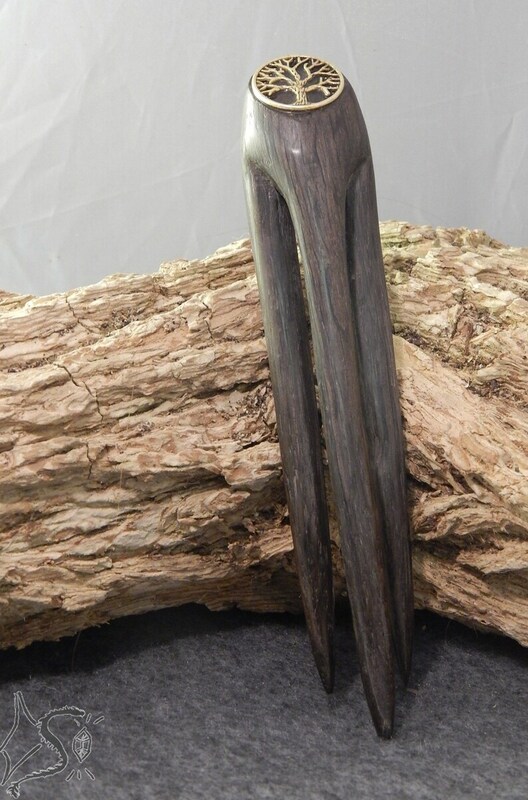 Bog Oak is oak wood that has been lying in the moor for several thousand years and has adopted its almost black colour. It is significantly lighter than the original wood. This forke was made of 2700 years old wood from the Elbregion. Our hair jewellery is made by hand with the help of Machines. This article contains Metallaplikationen from external manufacturing.